Vodafone is the only major UK network not to live up to its obligation to provide 3G mobile data coverage to 90 per cent of the UK, Ofcom revealed in a report published on Thursday. Under the terms of the 2100MHz 3G spectrum license held by EE, Three, O2 and Vodafone, the networks are required to provide coverage for 9 in 10 Brits. The other three have held up their end of the bargain, according to Ofcom's findings, but Vodafone has received a public dressing down for falling just 1.4 per cent short of the target. For its part, Vodafone has agreed to make up the shortfall by the end of 2013 by upgrading exiting 2G sites to 3G, which should be enough to surpass the magic number. In the report, Ofcom wrote: "Ofcom's assessment of each operator's compliance with the coverage obligation is that EE, Three and O2 have met this obligation but that Vodafone fell 1.4% short of the 90% coverage requirement. 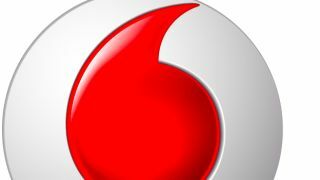 Following discussions with Ofcom, Vodafone has put in place a plan to bring itself into compliance with the 3G coverage obligation by the end of 2013." In a statement to TechRadar, Vodafone also pointed out that it'll have 98 per cent of the dripping in lovely 2G, 3G and 4G coverage by 2015, which is two years ahead of Ofcom's demands. The network wrote: "Our 3G licence includes an obligation to cover 90% of the population and Ofcom is fully aware of our plans to ensure compliance by the end of this year. "Our network investment stands at more than £900m this year alone and we remain on track to deliver indoor coverage across 2G, 3G and 4G to 98% of the population by 2015, two years ahead of the regulator's deadline." London businesses will soon be trialling 300Mbps 4G LTE: Here are the deets.